Admire the Yellow Fruit Waterfalls. 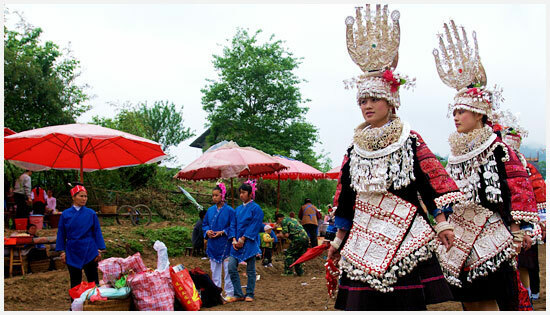 Enjoy the beautiful silver ornaments of the Miao ethnic group. See how the paper is hand-made in a traditional way. Observe the local craftsmen making silverwares. 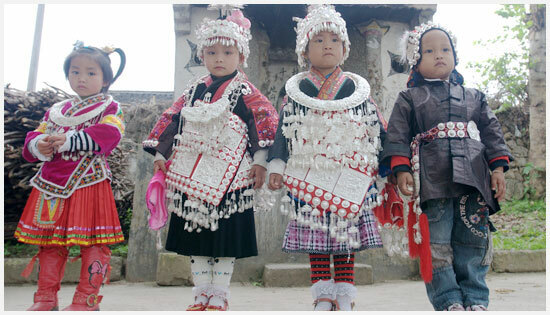 The kids wore national costume to celebrate the sister rice festival. 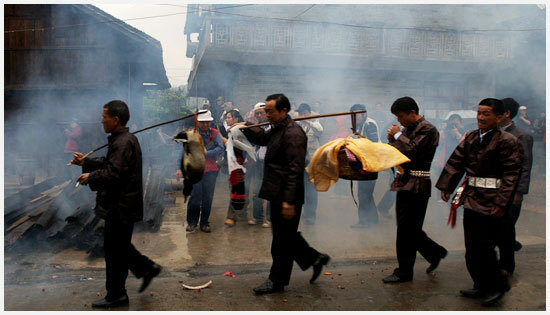 During the festival, the Miao villages sold their handiworks in the village gateway. 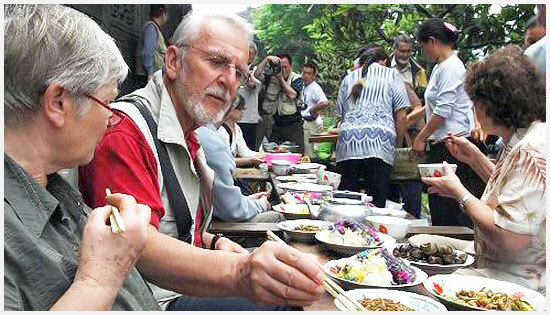 Enjoy sister meal with the local Miao ethnic group. 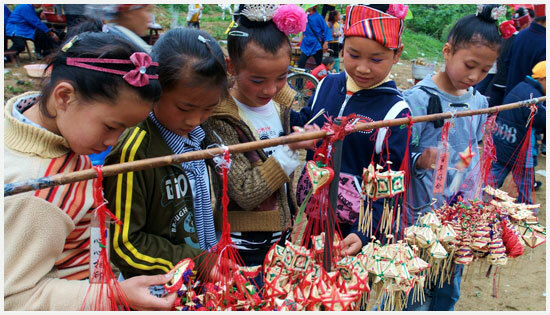 Some Kids Chose their favorite handicraft articles in a temporary fair. 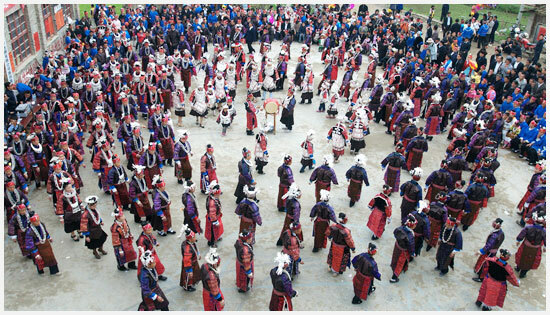 Drum dance is a must during the sister rice festival. The girls wore glittering silver ornaments to participate in the festival. 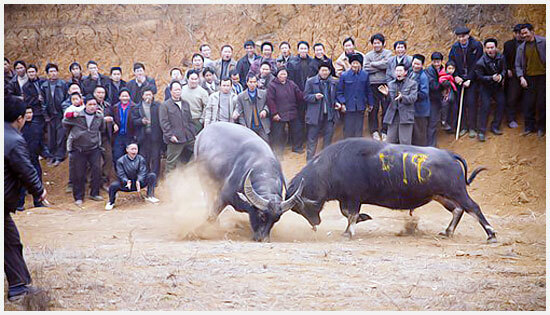 Watch water buffalo fighting contest. Took food and wine to sacrifice to Gods. 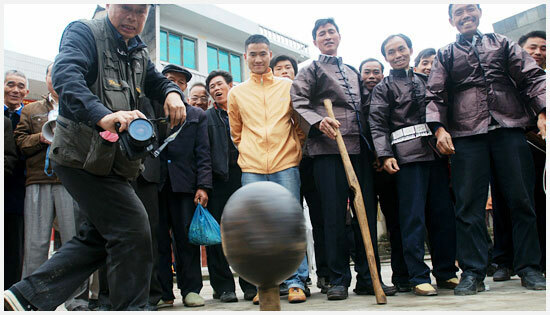 Like fishing contest, spinning top is very popular with people on the festival. 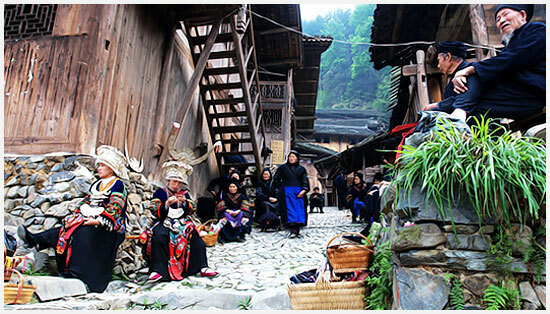 If you are interested in Chinese ethnic culture and custom, do not missed visiting the Sisters' Rice Festival in Guizhou and joining in the local people's celebrating activities. The journey would be a great memory never fades away for you. Any questions about the Sisters' Meal Festival or the trips, please feel free to contact us.